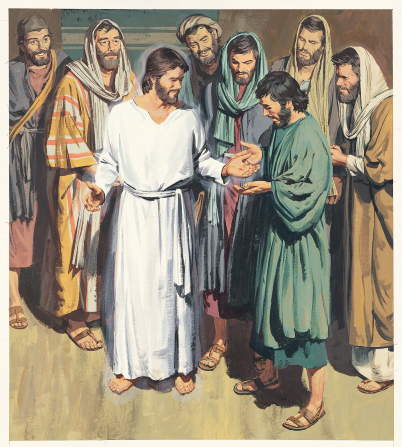 We know from other sources of modern revelation, such as the temple, that the twelve apostles have always had an important role in the Lord’s kingdom. Actually, when you read the old testament and the Book of Mormon, you find that the prophets of the Book of Mormon are remarkably well informed about the gospel of Jesus Christ. They knew about the Savior, by name, they knew what He would do. They knew that the law of Moses pointed their minds toward Christ, and that He would suffer and die for their sins. It’s possible, even likely that many of the biblical prophets knew, through prophecy, every bit as much as Nephi and His people about Jesus and His gospel, but that the translation of the records over the centuries lost those precious truths. We know that there were many such truth’s lost in the transcription and translation of their books, so this lost information about the twelve apostles may have been among them. This entry was posted in Book of Mormon, Book of Mormon: Verse By Verse Commentary and tagged apostles, Book of Mormon. Bookmark the permalink.